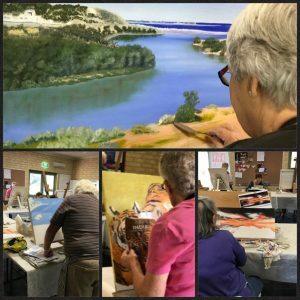 The painting group meets on Monday mornings at Willetton from 9.00-11.30am. Everyone is welcome to come and to bring friends. Please bring all your own paints, brushes, canvas, pencils, paper. For more information please call Shirley on 9354 8162, or email her on sgtaylor44@me.com.